Combine rice, coconut milk, water, sugar, lavender, cinnamon and salt in a medium saucepan with a tight fitting lid. Bring everything to a boil, then reduce heat to a simmer and cover. Cool for 10-15 minutes. 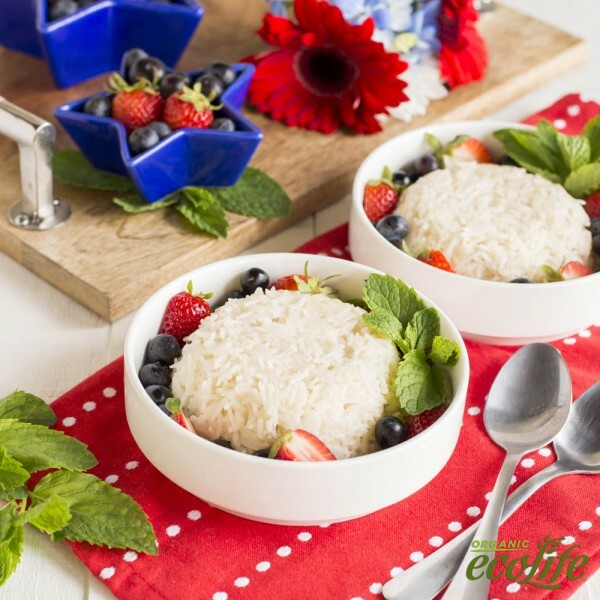 Divide the rice into four bowls and place in the refrigerator to cool and set completely, about one hour.